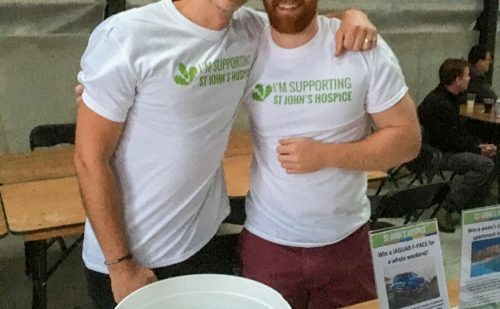 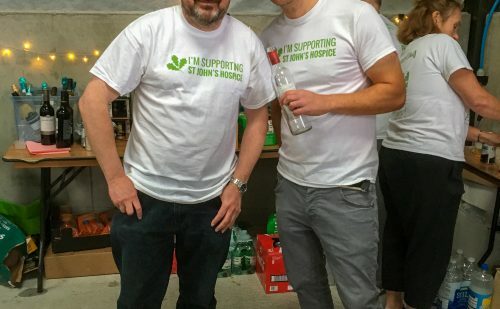 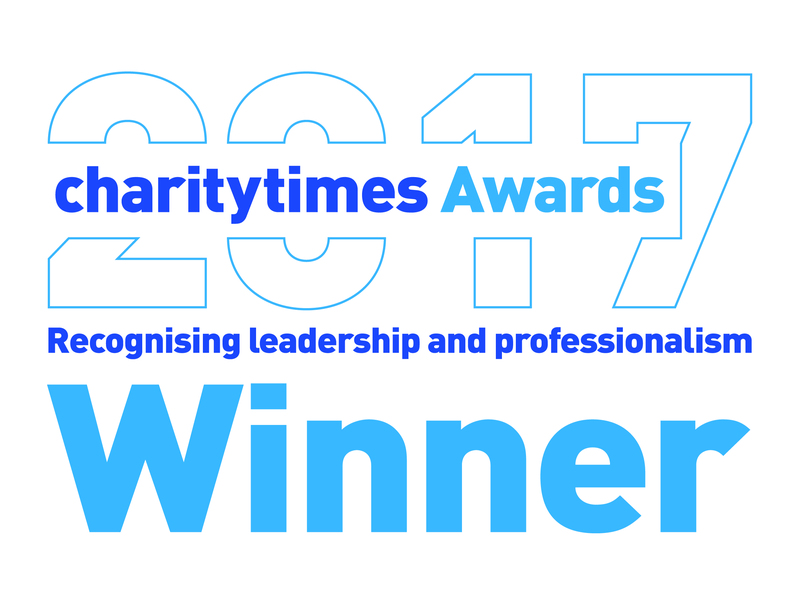 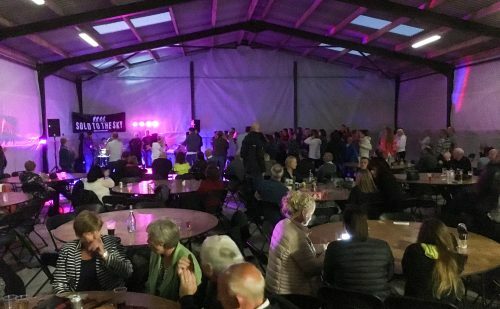 Home » About the hospice » Latest News » Fundraising News » A Barnstorming night of fundraising! 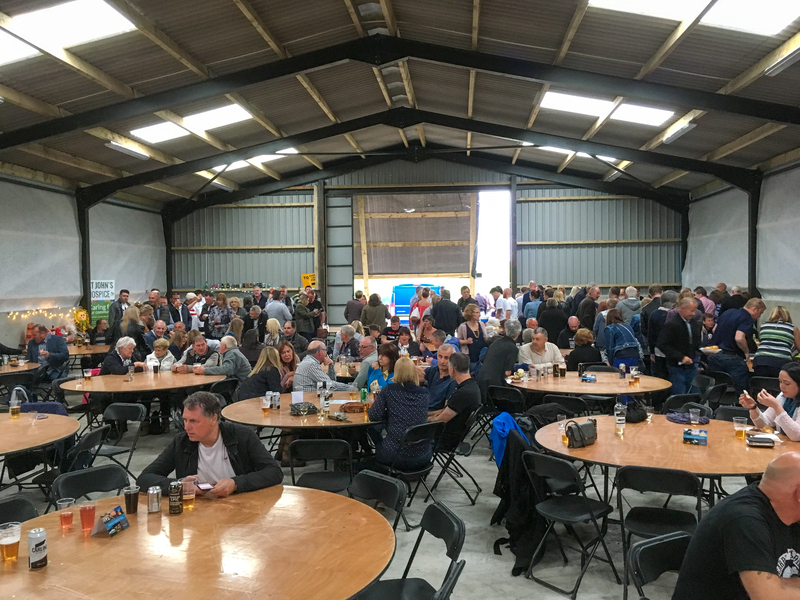 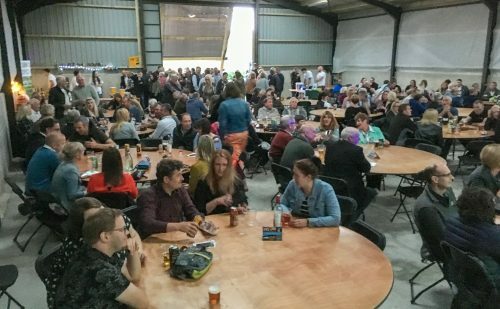 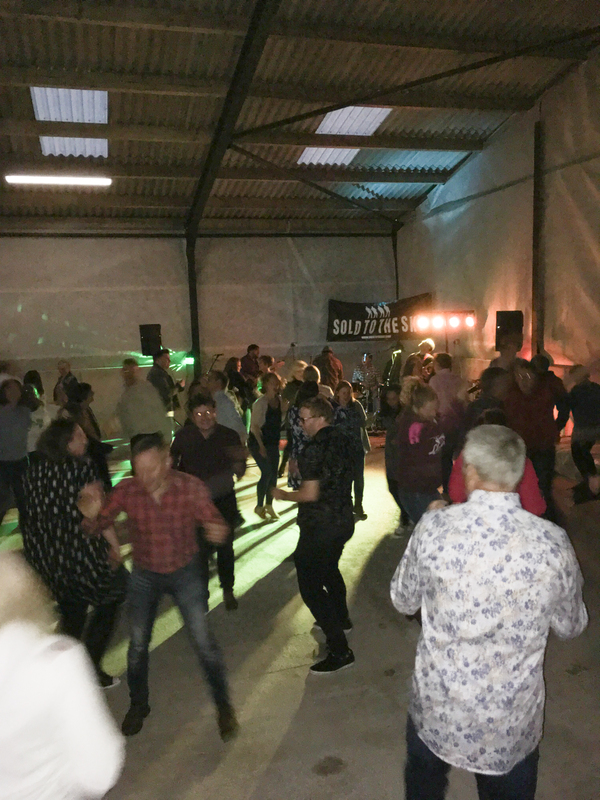 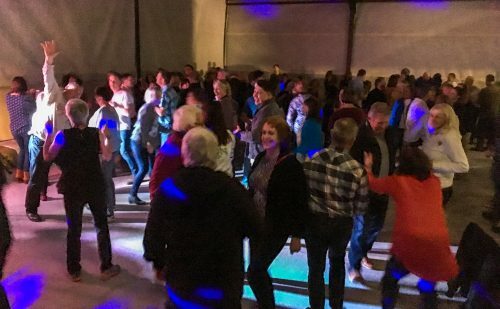 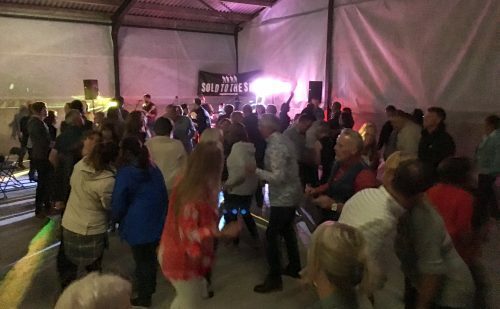 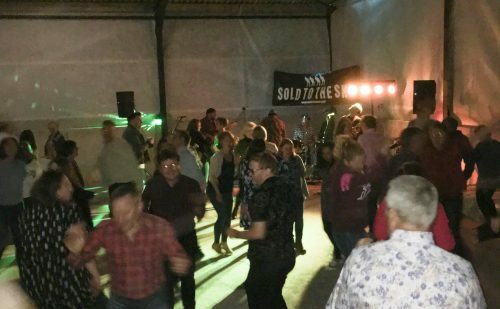 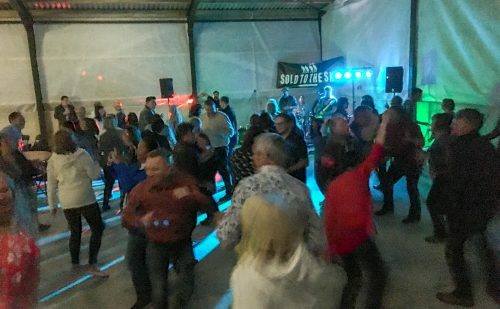 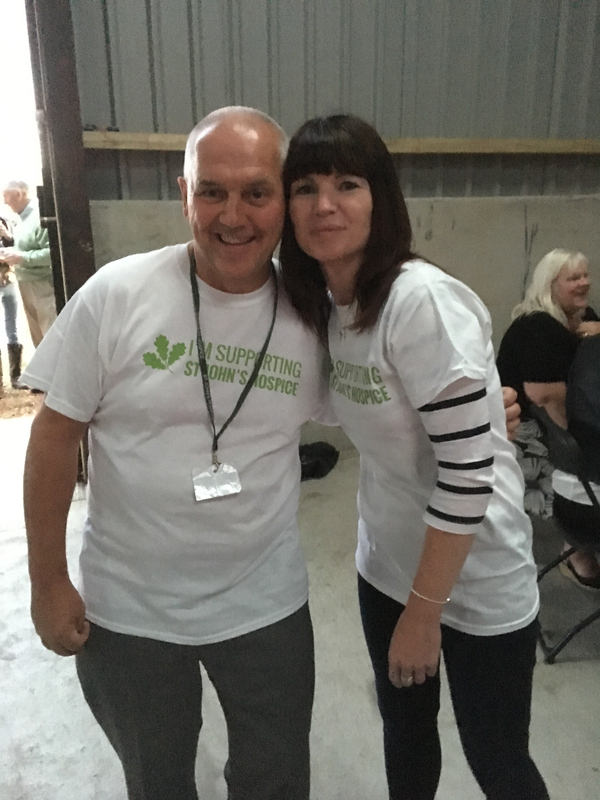 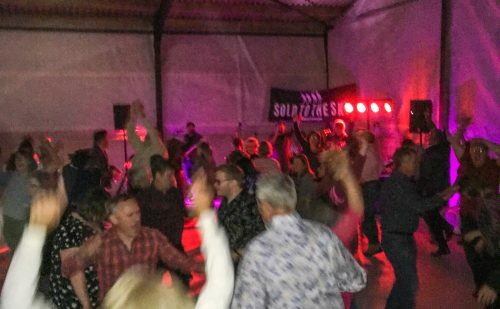 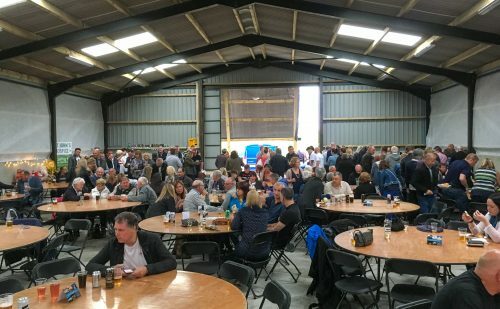 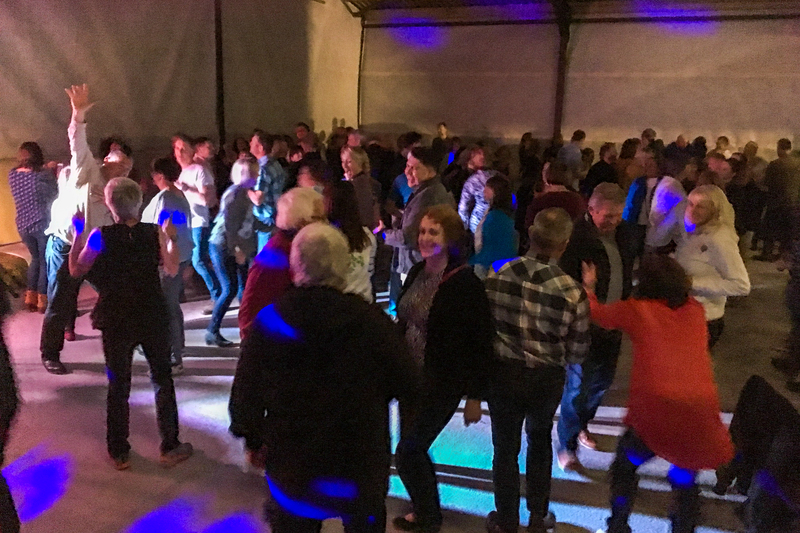 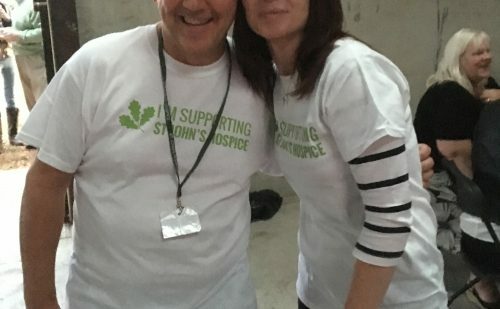 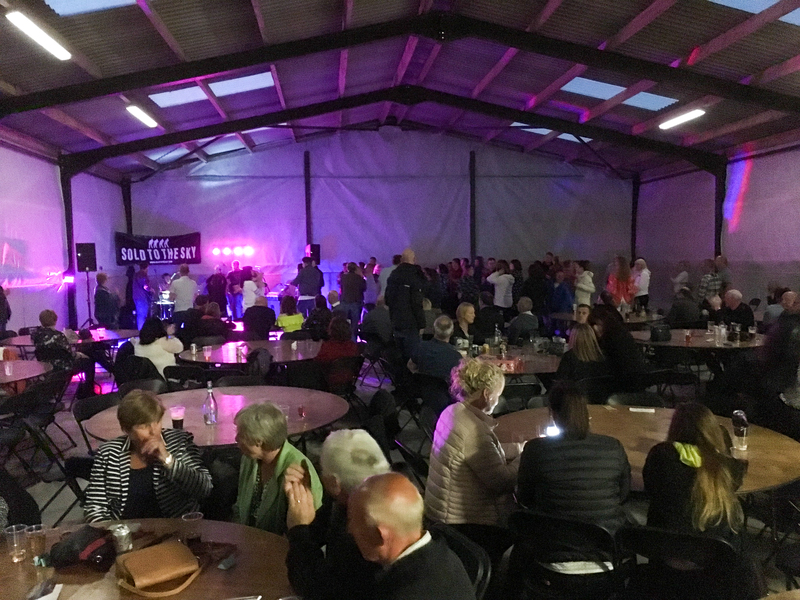 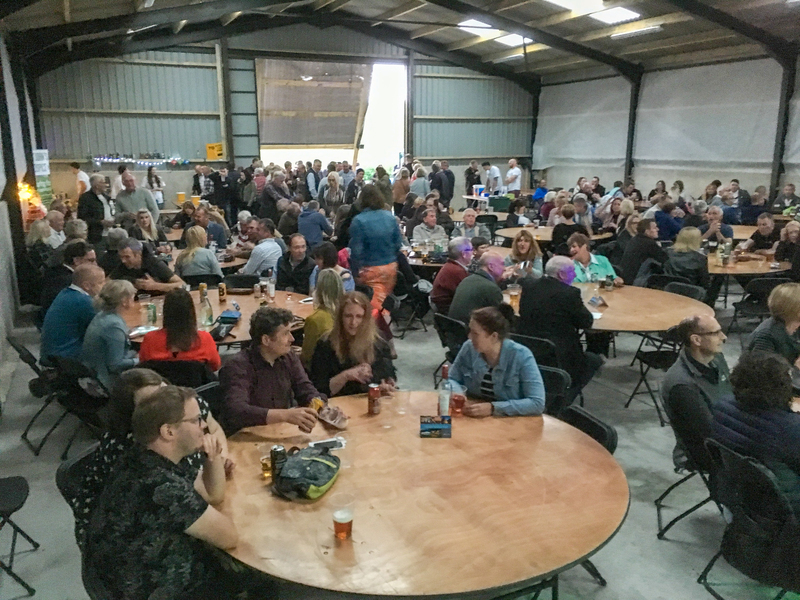 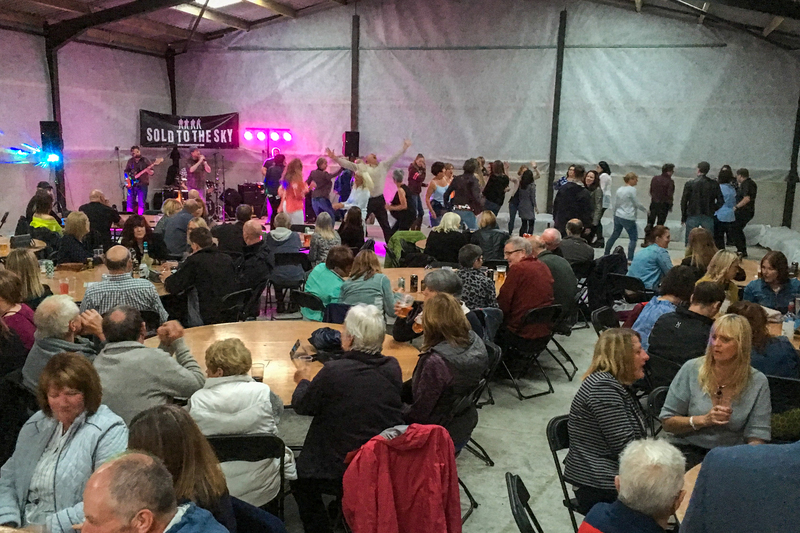 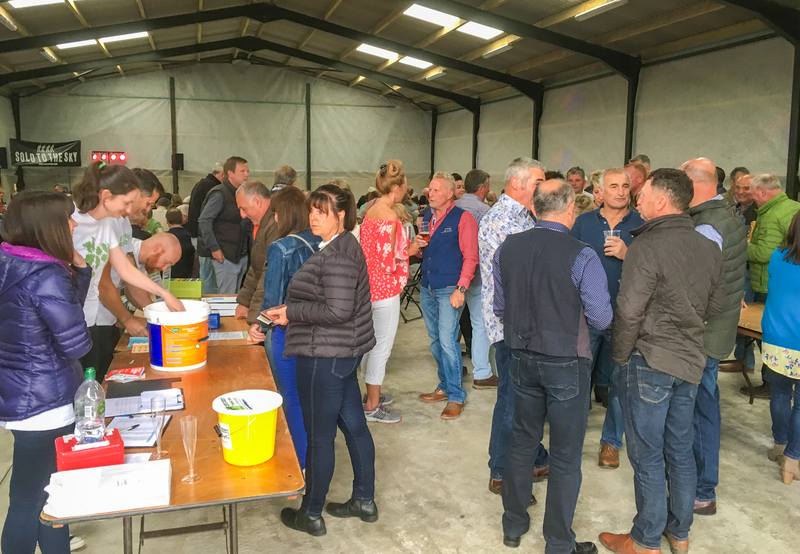 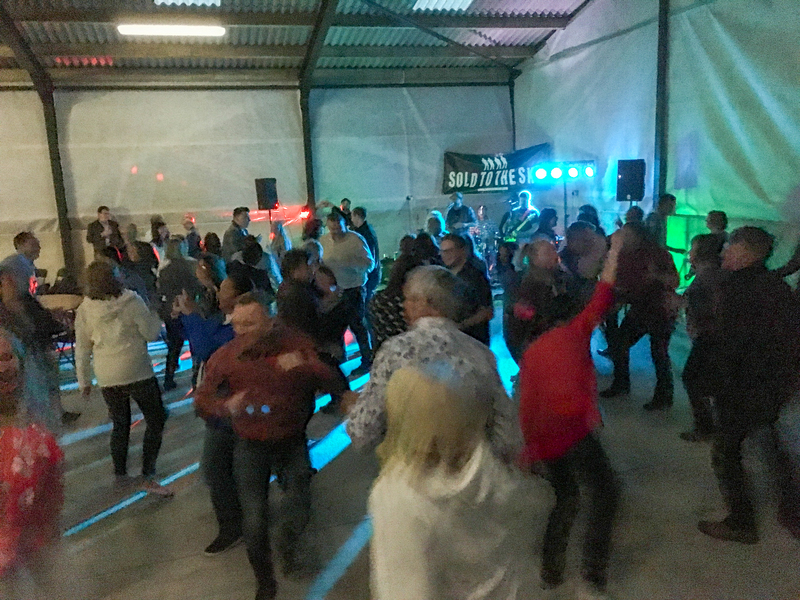 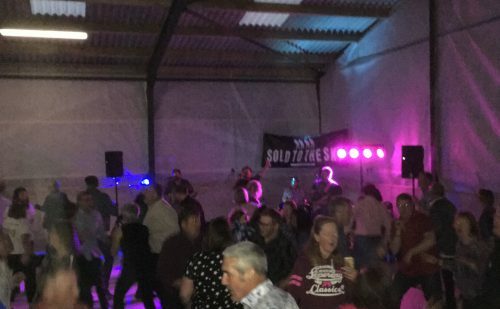 Over 200 people gathered in a big green barn in Gatebeck for a night of music and dancing to help raise over £6,500 for St John’s Hospice. 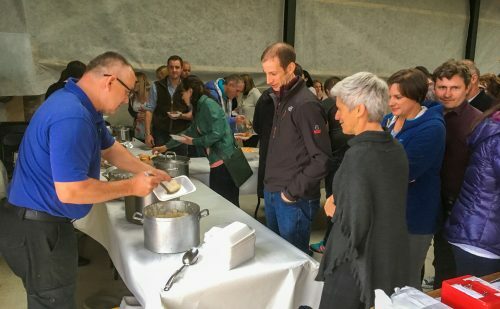 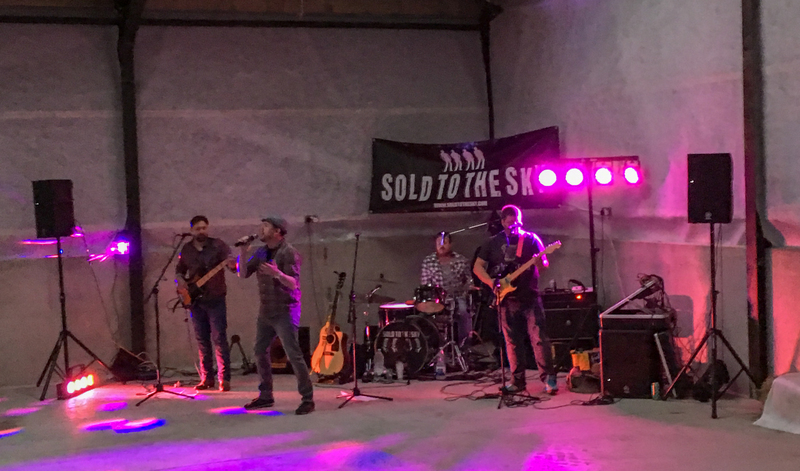 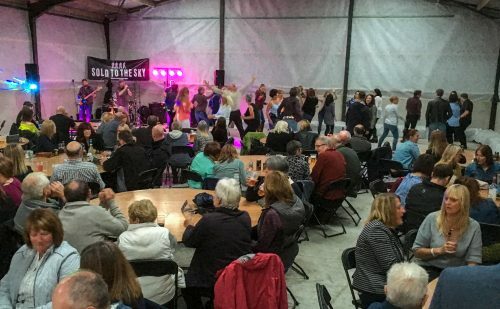 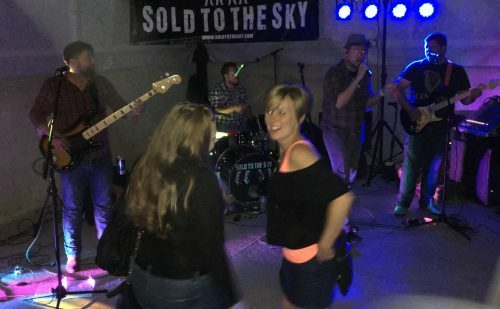 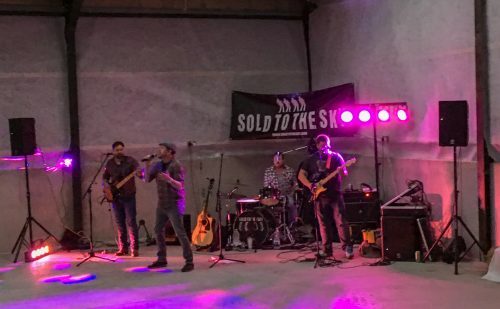 The Band in the Barn event was returning for a second year after a successful debut in 2017. 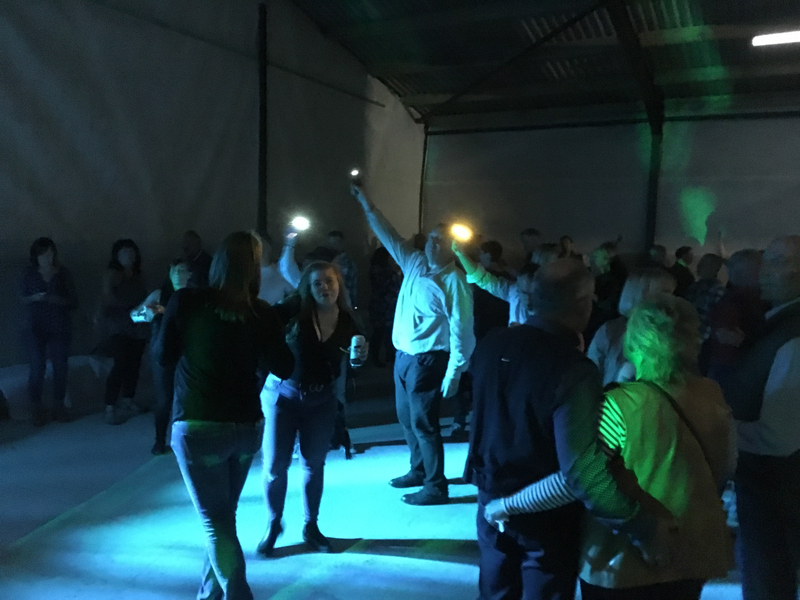 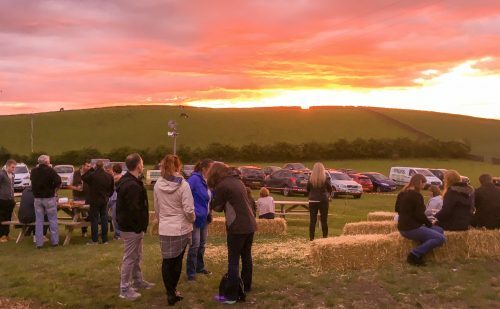 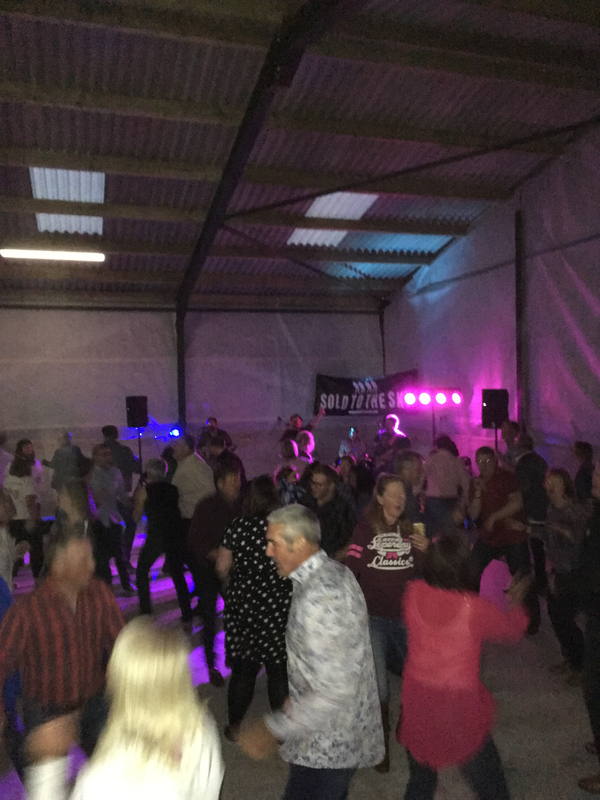 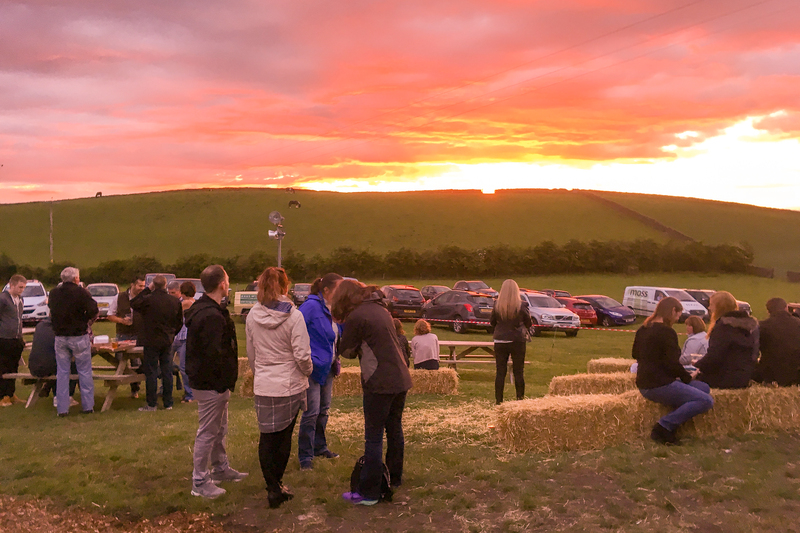 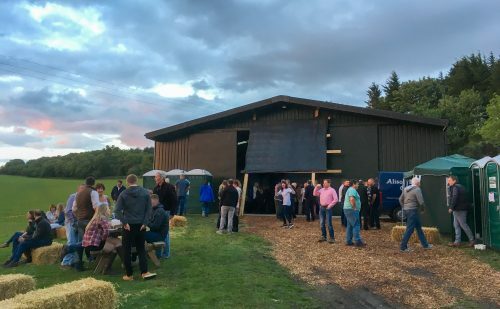 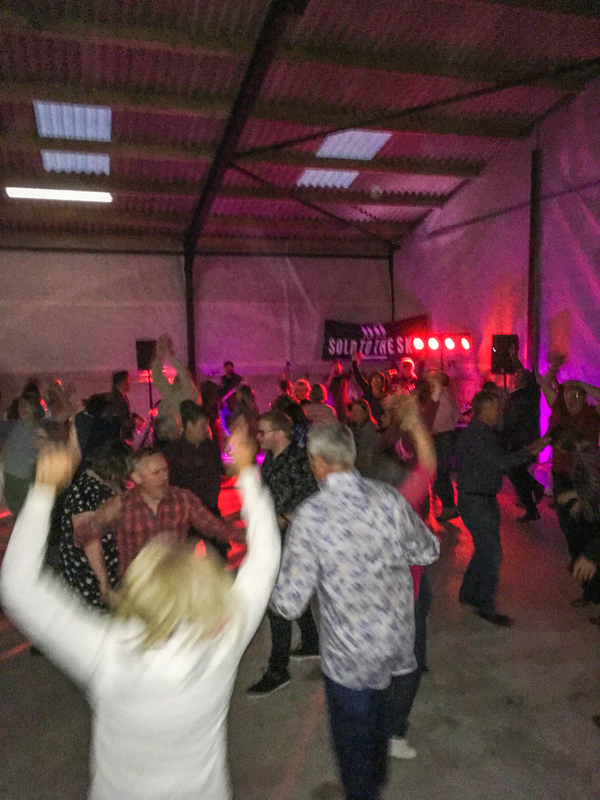 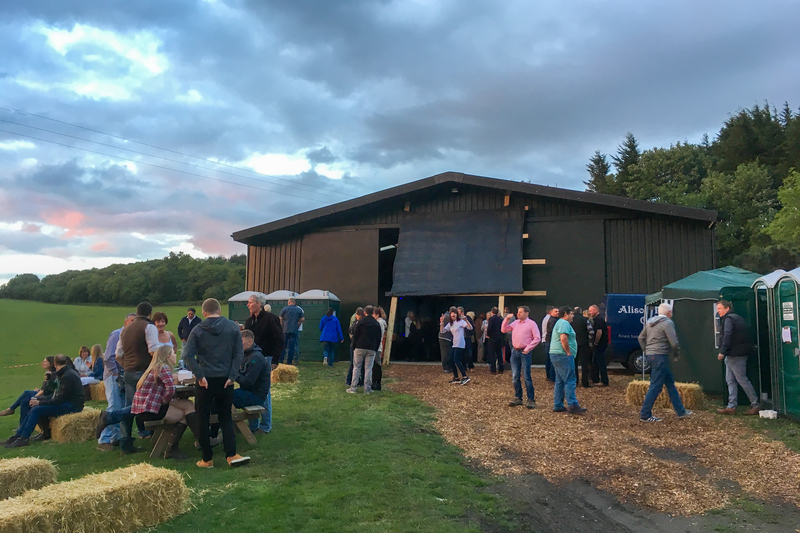 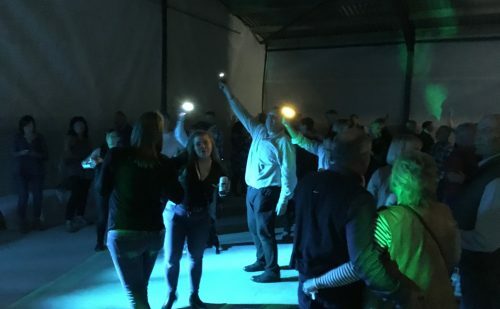 The big green barn, on a farm in Gatebeck, owned and used with kind permission by Ian and Helen Pickthall, was transformed into a party music venue for the evening with hay bales, disco lights and bunting. 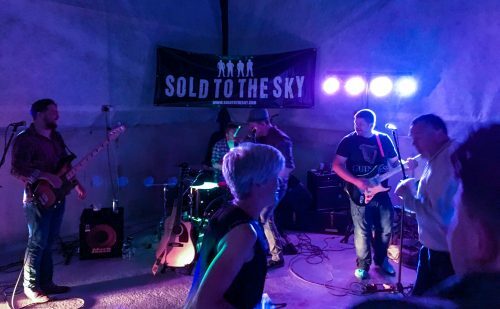 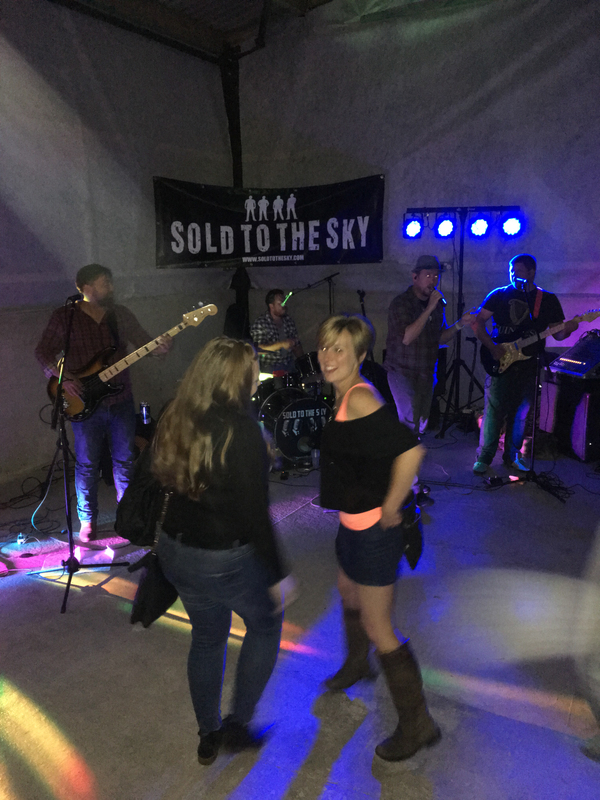 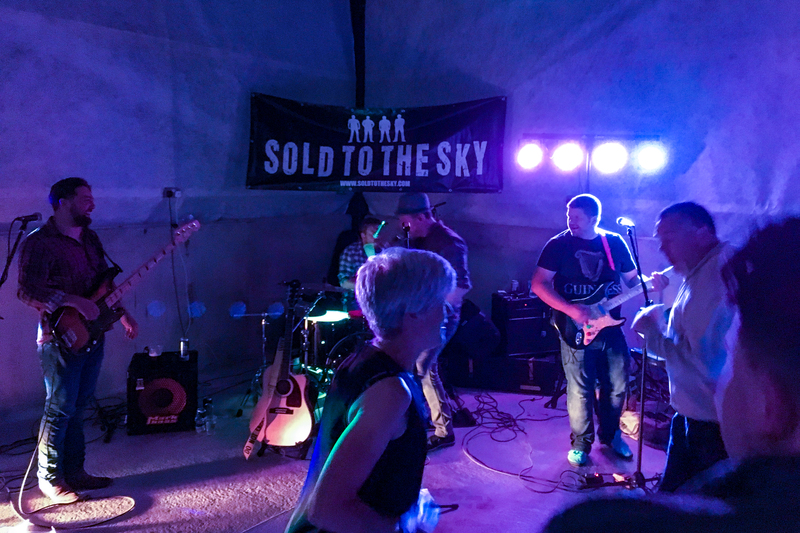 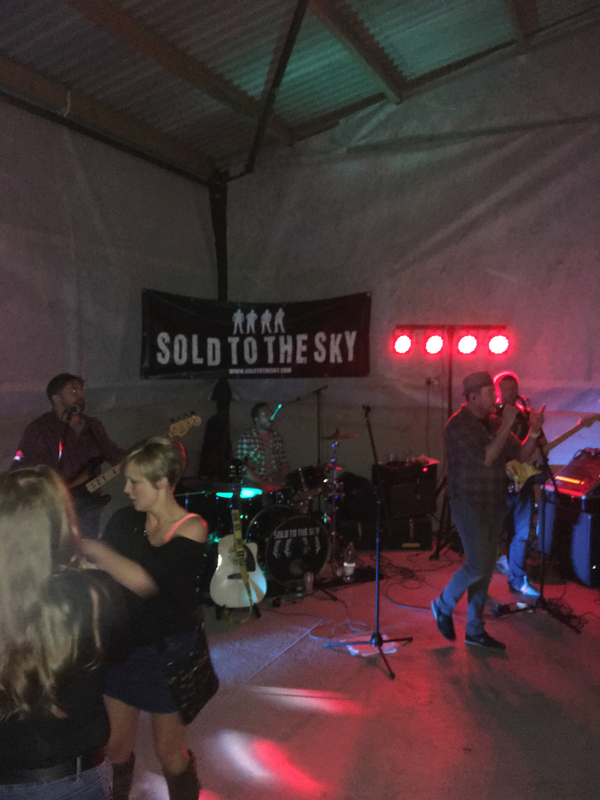 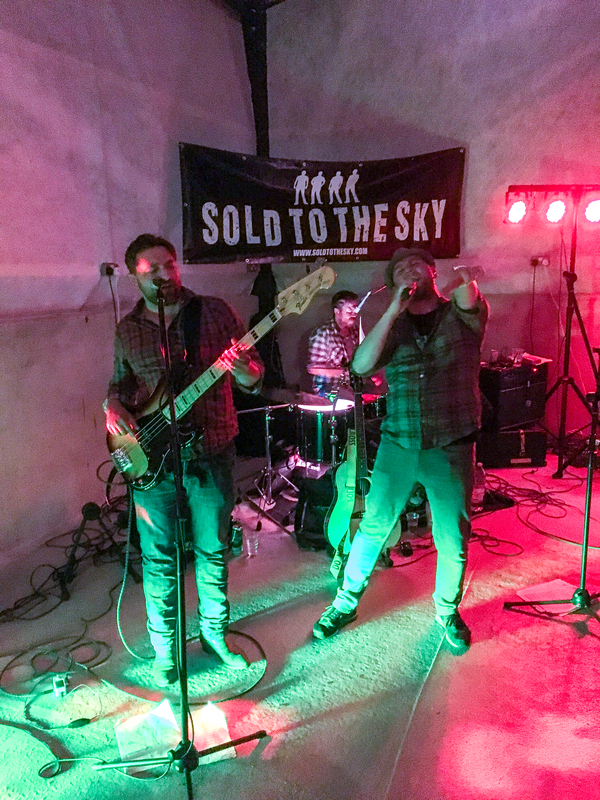 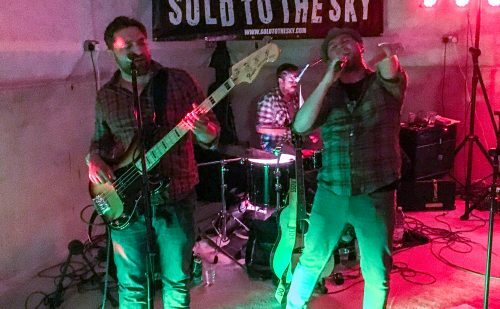 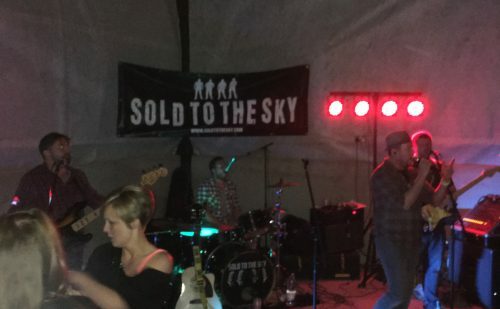 Live music was provided by well-known local band Sold to the Sky. 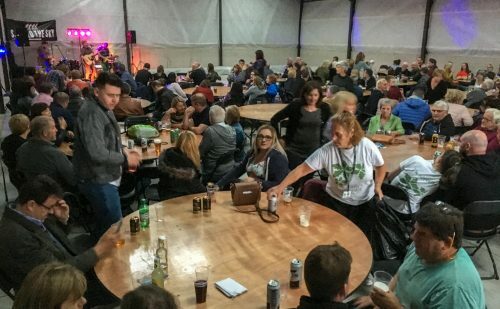 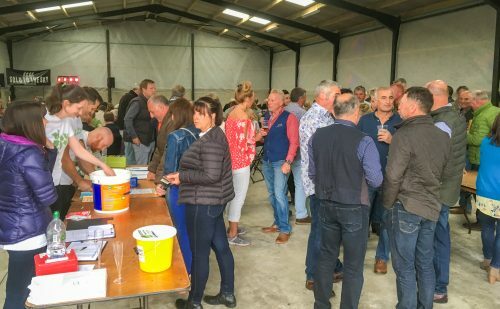 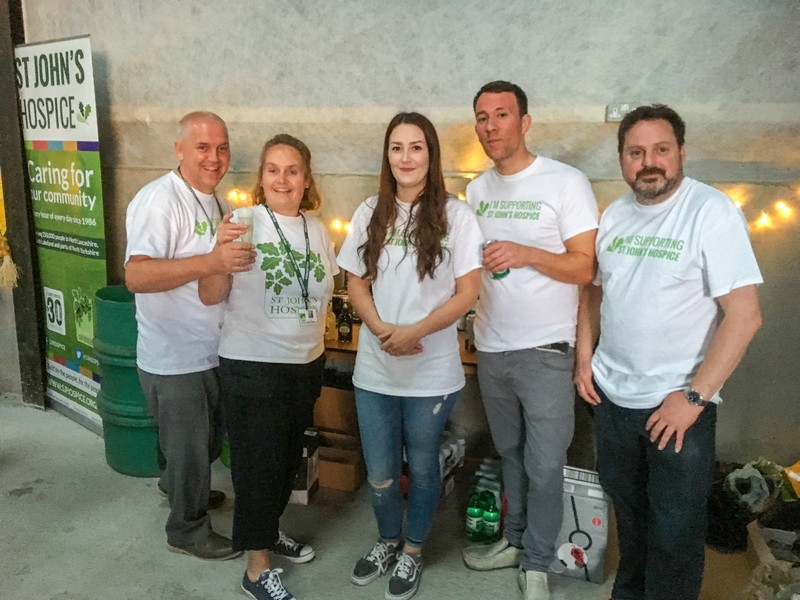 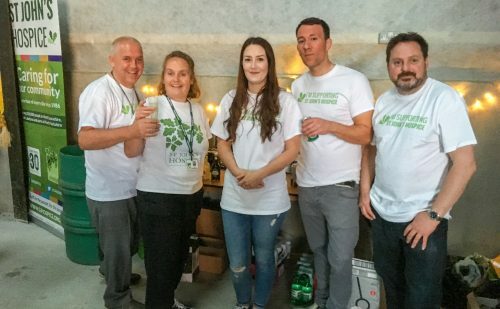 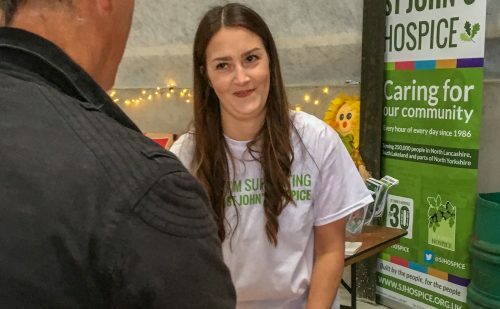 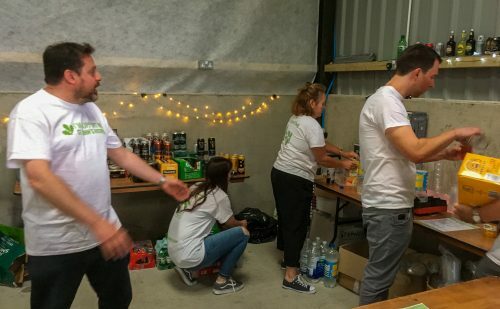 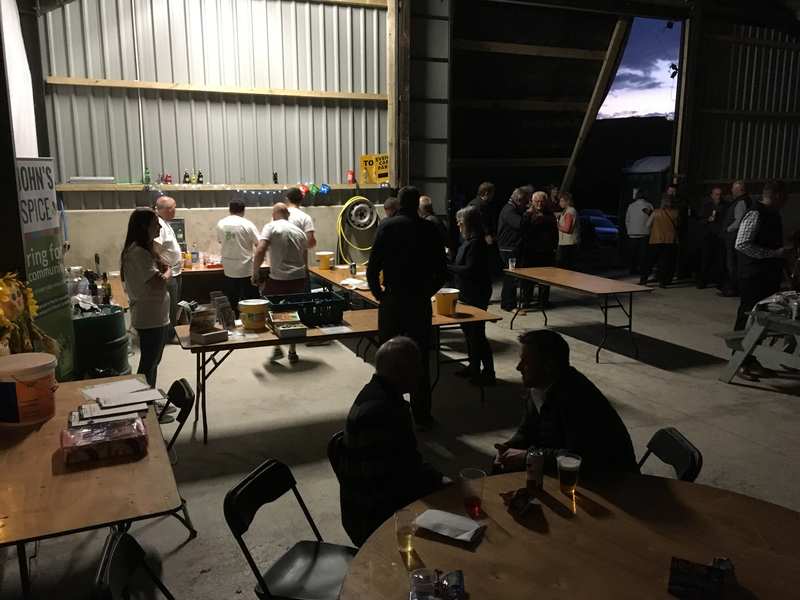 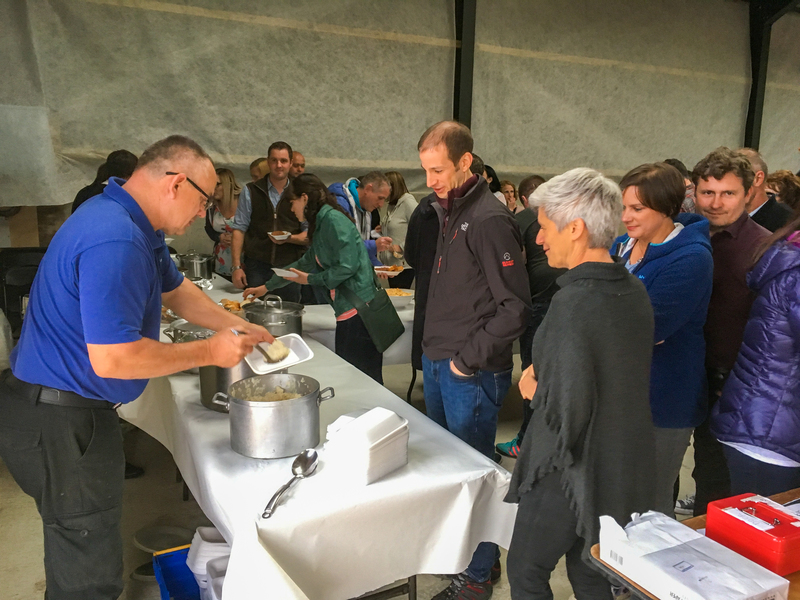 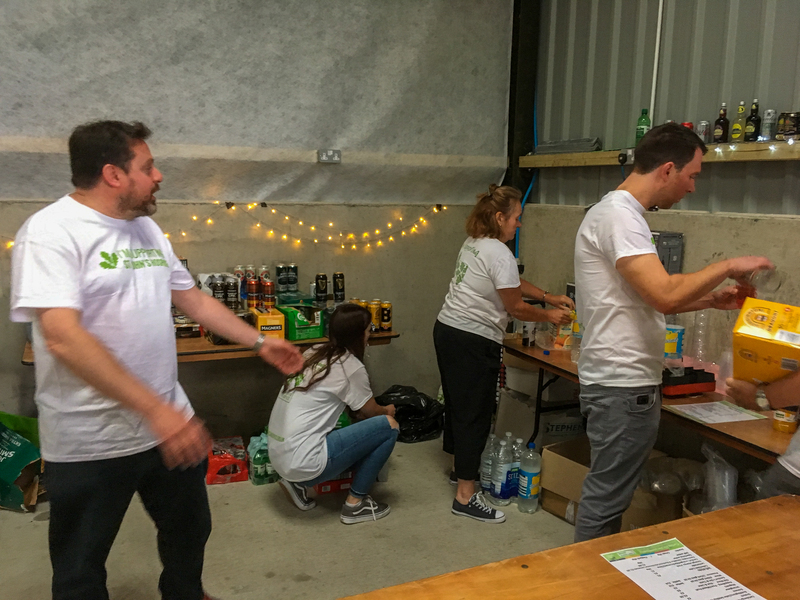 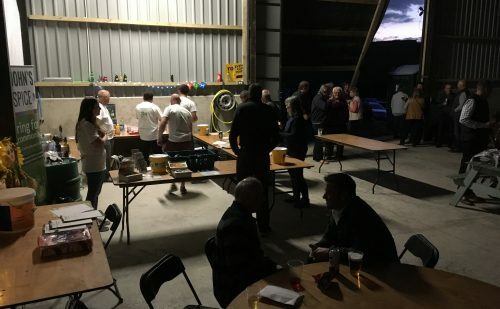 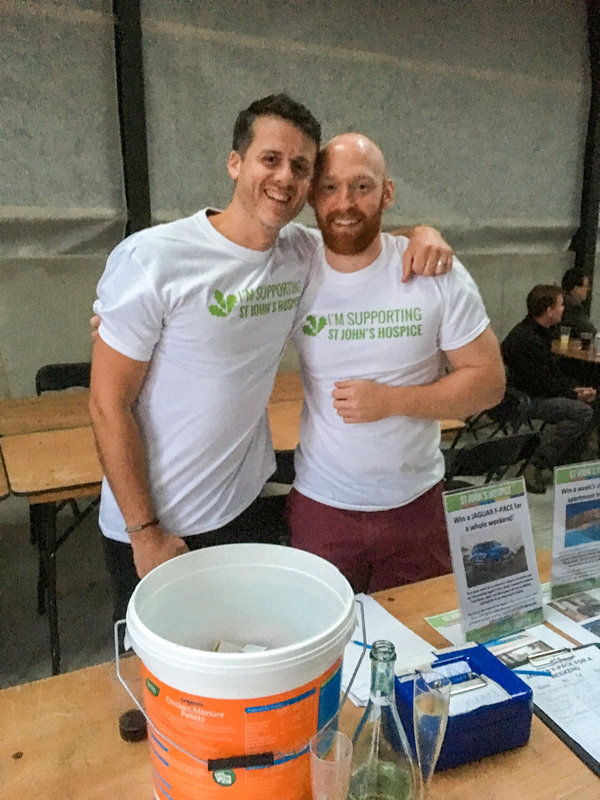 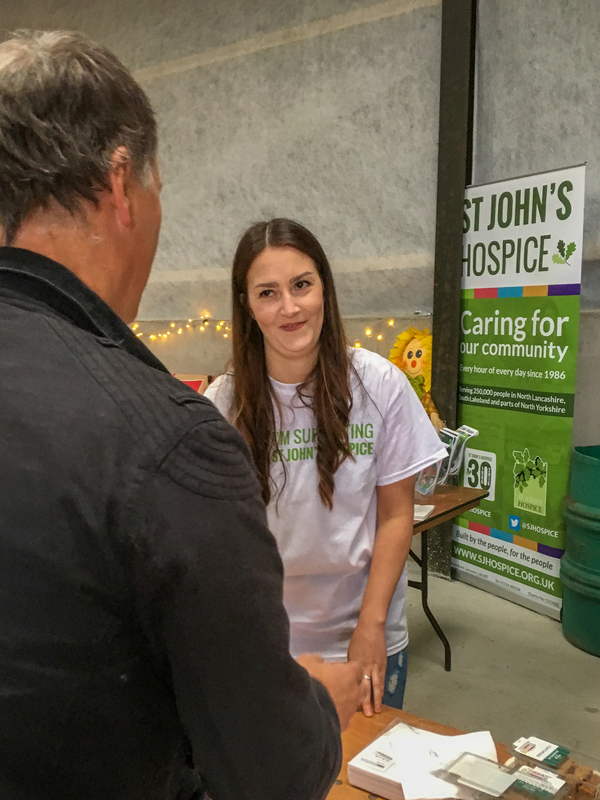 There was also hot food provided by Alison Thompason, a charity raffle and match funding provided by local HSBC employees, five of whom volunteered to help run the bar for the evening. 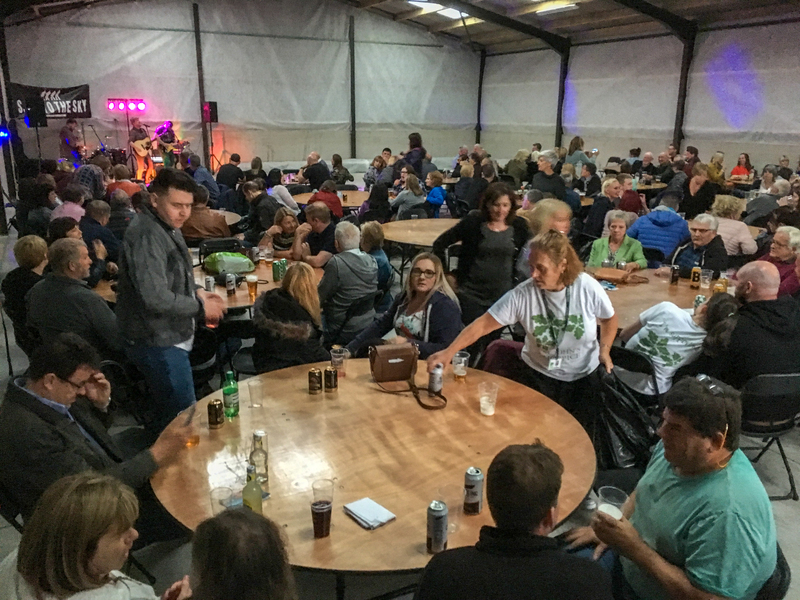 Thanks also go to Killington Marquees who donated tables for the evening.